Spring is everywhere this year. The hills are covered in lush green grass and beautiful wildflowers. Spring is a time of new beginnings and that can be positive. Sometimes, however, new and different things bring with them anxiety and stress. Anxiety is often based on fear. When you are anxious, you are afraid of something – failing a test, not being able to complete a job, meeting new people. Whatever it is that you are afraid of is what makes you anxious. Hypnotherapy can help. First, we talk about what it is you are anxious about and figure out whether or not your anxiety/fear is something that we can deal by simply understanding the anxiety. Then we determine what tools you might need to deal with the anxiety on an ongoing basis. Almost everyone has anxiety, let’s figure out what is causing it and give you some tools to help you deal with it. I worked with a client for driving anxiety – she was afraid to get behind the wheel and learn how to drive. We talked about why she had that fear and she realized that what her fear was based on probably would never happen. She began using positive affirmations about her ability to drive and pass the driving test. She calmed herself by using her anchor. Two months later, she passed her driving test. Oh, and, people sometimes ask me what happens when they finish working on their presenting problem. I let them know we can work on other issues as well. After she passed her driving test, she wanted to work on letting go of 20 extra pounds from college. So, we worked on that and she released the extra weight before she drove herself across country to Nashville - where she still live and works today! 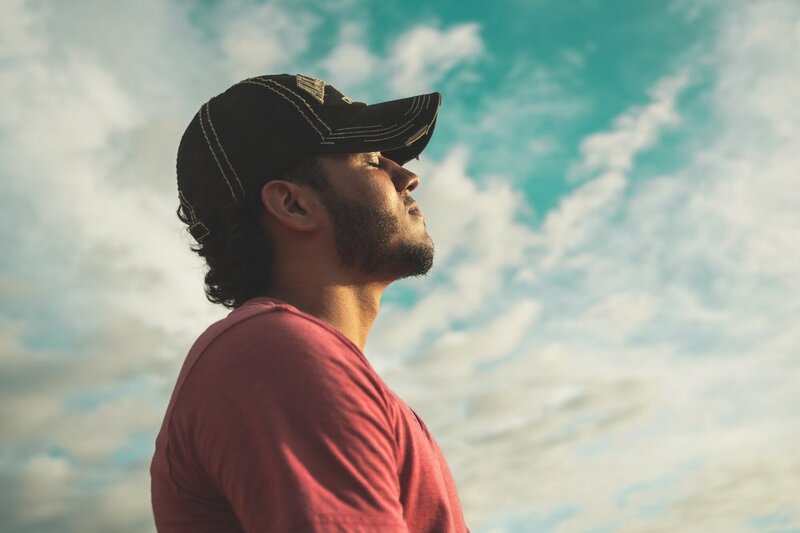 If you are experiencing any anxiety or concerns about moving forward in a positive way, hypnotherapy can provide tools to help you on your journey. Changing the expectation we have about our performance makes all the difference. Of course, you still have to learn the material. It is possible to know everything you need to know and still not do well on tests. Why? Because your subconscious is telling you that you are not good enough, you don’t deserve to succeed, you have gone as far as you can. Where do these thoughts come from? They come from many different places -- our parents, our siblings, our friends, social media and associates. Do they mean to do us harm, probably not, but the damage has been done anyway. In hypnotherapy you can explore what your inner voices are saying about your ability to take tests. What are they saying about your potential level of success? If these voices are not what you want them to be, hypnotherapy can help you change them by replacing the negative self-talk with positive self-talk or affirmations. I have worked with many students from junior high through college as well as professionals who needed to pass boards or certification tests. I have been very successful with improving ACT and SAT scores and I am ready to help you or someone you know today. We all want to win. No one is trying to lose or even happy to lose. When people say “it’s how you play the game,” they quit a long time before that. Preparing to win is more difficult than wanting to win. Preparing to win starts in the mind and the heart and then it proceeds into the training room and the practice field and then into competition. I have worked with athletes in a wide variety of sports as well as a wide variety of ages. I have seen a 10 year old baseball player and a 62 year old amateur tennis player (and everything in between). What do these athletes all have in common? Their physical skills were great but there was something keeping them from performing at their best. That something was their mental attitude. Many pro athletes have used hypnotherapy in their training including Tiger Woods, Mike Tyson, Michael Jordan and Phil Jackson when he was coaching the LA Lakers. Schedule a session with me to see how hypnotherapy can help you think and train like Mary Lou Retton. Whether you play an individual sport, a team sport or are an amateur athlete, mental training and visualization can make a tremendous difference in your sports performance. We live in a first world country where most of our needs are easily taken care of. We are encouraged to be grateful daily, not just at this time of year. However, on an almost daily basis we are bombarded with tragedy: we watched as a local, fun gathering spot, the Borderline, was the scene of the senseless killing of 12 innocent people. Many of us were displaced for several days while fire burned from Woolsey Canyon to the ocean in Malibu. The Camp Fire burned over a thousand homes and several hundred people are still missing. How can we be grateful in the face of all these terrible events? Should we be grateful in spite of all these events? Yes, we should. Being grateful can enable us begin to move forward from grief and unhappiness. Seeing the beauty in a sunrise or the joy in a child’s laugh can start the healing process. Sometimes, though, we can get stuck in our grief and unhappiness. Hypnotherapy can help to move us forward to a more positive, healing place. Our loss will not go away. The events that have caused our sadness did happen. Through hypnotherapy, we can learn how to save our memories and still move on to live our lives. If you are stuck in a negative space, consider calling me for a session. 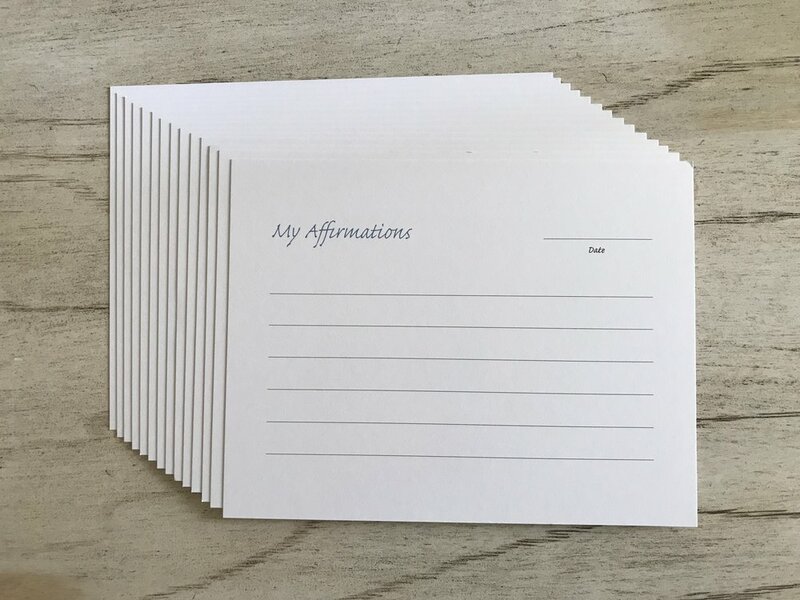 Cinda's Affirmations Book Is HERE!!! Have you ever noticed that the more tense and stressed you are, the harder it is to perform at your best? Hypnotherapy can help with all kinds of tests. I have helped students with individual high school class exams, college admission tests (SAT and ACT), and college course exams. I helped a fiduciary pass his certification exam and a doctor pass her boards. A student at USC did so well on her oral Spanish final that her professor asked in surprise, “What did you do? You are doing so much better at speaking in Spanish in public!” The only change she had made was seeing me. She also aced her oral psychology presentation. Another client came to me for help in performing her piano solos for adjudication. Once again, she was able to do better than she had thought she would. Anxiety can affect your performance on tests. Hypnosis is all about slowing down, focusing and calming that inner negative voice and replacing it with the “I can” voice. In hypnosis, I have my clients imagine the test or performance event from the evening before to a successful conclusion. They then practice this in their mind as often as possible. This makes the event less stressful and more of a natural event we are used to. Our minds do not know if we are actually doing the event or just thinking about it so it becomes more and more familiar and less stressful. Wouldn’t it be great to have less anxiety this school year and do better on tests than before? Call me today @ (818) 929 - 4944 for an appointment and check it out. We are always in transition. From summer vacation to the school year, from summer to fall, from high school to college, from college to the workforce, from one job to another. We have a choice to either embrace that change or fight against it. Humans want their lives to remain constant. One of the first things I was taught at Hypnosis Motivation Institute was about homeostasis. Homeostasis is about keeping everything the same. Even if we say we want to change, there is a part of us that does not want change. In hypnotherapy, clients resist change. Part of my job is to help clients be able to accept change. With hypnosis, we can work on the subconscious mind to make transitions and change easier. If a transition involves going somewhere new or taking some new action, practice doing the event in your mind. Our minds cannot tell the difference between an imagined thought, state or condition, and an action actually taken. If you can, it’s always good to actually try and experience the event prior to your first time. I always took my children to their schools before the first day of school and walked around with them so they could become familiar with their school. Then, when they were at school on the first day, they had already experienced the environment. Life will provide us with opportunities to transition and change whether we like it or not. Why not embrace the change and use it in a positive way to move forward? If you ever want a good laugh, just go on YouTube for Stage Hypnotists, there are some great ones. They are really funny AND the amazing part is that the participants have no idea what they did. Let me explain how it works. The stage hypnotist is very clever, quickly sorting out, from the volunteers, those who are most likely to be easily hypnotized and those who will be happy to go along with the act. The stage hypnotist’s job is to put on a show that the audience will enjoy. It is what his or her future success is based upon. Once the volunteers have been selected, the proficient stage hypnotist will say something like: “Now, you six are the cream of the crop – the best, which is why I selected you. And the ability to accept hypnosis has been proven to be linked with intelligence, so that says something about you all…” Just think about that statement for a powerful suggestion! Once they have been selected, on stage, after a very brief induction, the participants are told to ‘sleep’. There are not a lot of people who would have the nerve, in front of an audience and under stage lighting, to say to someone who is known by all present to be a hypnotist: “Sorry! It hasn’t worked!” Many will believe it has not worked, but they will not think the fault lies with the hypnotist – they will think it lies with them! Plus, of course, they have been told that the ability to accept hypnosis is linked to intelligence and they are not about to reveal that they are not intelligent after all. So they ‘sleep’, whether they feel as if ‘something’ has happened or not. Now they have done it. They have tacitly accepted that they are hypnotized, and because everybody knows they are hypnotized, they will have to do whatever they are asked to do – within reason. Some will know ‘it’ has worked; they were the ones who believed without question that they would ‘go under’, believed almost without question that some special force is at work. Their belief system ensured that they would have become hypnotized as soon as the hypnotist so much as looked at them. But they will not actually feel so very much different from the others. Hypnosis tends to make people feel relaxed and more confident within themselves, less inhibited, so those selected will cheerfully perform the small ‘tasks’ that they are asked to do. We cannot know for sure whether or not they would perform such acts in a normal waking state – shyness, introversion and inhibition will cover a multitude of secret wishes and desires, in both men and women. They volunteered knowing full-well what was likely to happen. But it’s important to be clear… they are not being MADE to do anything – they are being ALLOWED to do something. Hypnosis will not ‘make’ people do things that they genuinely would not WANT to do. It is the moral code, the true underlying belief of what is wrong and what is right that cannot be breached by hypnosis. Remember, the hypnotist has sorted out those who actually want to be there, want to join in with the fun and who are very well aware of what is expected of them. Besides which, they will often have been told that they can easily ‘disown’ anything they want to afterwards by simply saying: “Well, I was hypnotized, wasn’t I?” But at all times, they most definitely do know what they are doing – which is usually nothing more than they might do for fun at a party after a drink or two – and will often believe they are only pretending to be hypnotized. They are wrong. They are hypnotized, but there really is no such thing as a hypnotized feeling, so they cannot recognize that fact. Stage hypnosis is not a ‘con’ but it is showmanship. So how is clinical hypnotherapy, what we do together, different? Well, for one thing, with me, our sessions are always one on one. You decide what your goals are and we work together to make those goals into reality. In the first part of the session, we talk cognitively about what your goals are and what you want to change. We explore how your fears, limiting beliefs and negative thoughts may be blocking you from achieving your goals. Then in hypnosis, positive thoughts are planted deep into your subconscious so that they make changes in your behavior. AND those changes are also your affirmations so that you can reinforce what we are doing in hypnosis by yourself. Summer brings a change of weather and for many a change of scenery. If your travel this summer involves relatives or friends, hypnotherapy can help in at least two ways with some of the stress that can trigger. An anchor, which anchors in the relaxed feeling you feel in hypnosis to a specific pair of words, can also be used for relaxation and stress relief. Your hypnotherapist can help you with this or you can install the anchor by completely relaxing and then focus on your special place as you breathe in and say the name of the place or time to yourself and breathe out as you say the positive feeling to yourself that you feel when you are in that place or time. To recreate that feeling of relaxation when you are in a stressful situation (not driving) close your eyes and breathe in and out, saying the keys words to yourself. If you would like help with the stress that the behavior of family and friends can cause, please call me to see how I can help. Is your body ready for summer? Did you try on your shorts from last year and found they were a little tight? If so, hypnotherapy can help with weight management. Hypnosis can help to change the subconscious image you have of your body. Do you have a realistic picture of how your body looks or is it out of sync with reality? Using affirmations, we can work together to focus on a weight goal and what it will take to get you to that number or size. Maybe you want to focus on eating healthy and exercising more. This can also be included in your affirmations. Some questions that we may discuss in our sessions could include: What has the fluctuation of your weight been over the course of your life? When were you heavy, when were you thin? Why are you needing to manage your weight? Did you have a trauma that is encouraging you to hold on to excess weight? How was food used in your family growing up? Was it a reward or a way of your parents showing love? What would your life be like if you were able to manage your weight? There are lots of questions that we can explore together to come up with a plan that would work for you to manage your weight. I will use different techniques from my toolbox, NLP, Therapeutic Imagery or EFT, to help you change your view of food and/or your body. I have had a lot of success with clients losing weight and maintaining that weight loss. Hypnotherapy today is much different than in the past. Yes, we still do traditional hypnosis, 5,4,3,2,1 Deep Sleep, but there is much more available now for us to utilize to help clients. I use many different modalities in my practice. Two methods that benefit my clients are Therapeutic Imagery and Neuro Linguistic Programming (NLP). In Imagery work, clients are asked to visualize problems or issues as actual physical images. They can then deal with the problems on a different level and frequently can dispel or conquer them. NLP also has some interesting techniques to deal with problems. One that works well is Timeline Therapy. In this work, a client visualizes their life as a timeline through space. They float above the timeline to a time prior to a traumatizing event and re-experience the event through their eyes as an adult. This often helps the client heal from past hurt. When you come to see me or any hypnotherapist, there are 2 parts to the session. First, there is a discussion about what the issue is and the change that you desire. Then, at the end of the session, you are hypnotized and the changes that you want are implanted in your subconscious. Very subtle and very powerful. The current model of the conscious and subconscious mind is that 10 to 12 percent of the mind is the conscious mind and 88 to 90 percent of the mind is the subconscious. If you take a look at this it is easy to see why changing a behavior is so very hard. Imagine you were driving a car. 88 to 90 percent of the engine was being used to go in reverse and 10 to 12 percent was being used to go forward. How hard would that be to get anywhere at all? Hypnotherapy can help with different techniques to get both parts of your brain working together. Hypnosis began because there was no anesthesia for doing medical procedures or surgery. Doctors discovered that by “distracting” or occupying the mind, they could lessen the patient’s discomfort during surgery. Hypnosis is still currently used during childbirth, dental procedures or surgeries when the patient does not want to use an anesthetic. In 1779, Dr. Franz Mesmer discovered that the mind has power over the body. From his name MESMER comes the word mesmerize, which literally means to hypnotize or spellbind. James Braid, a doctor in England, gave hypnosis its name from hypnos, the Greek God of Sleep in 1849. He is widely considered the “Father of Hypnosis” and original he thought that hypnosis was actual sleep brought on by eye fatigue and that’s why people think of hypnosis as looking at a watch or bright object back and forth in front of your eyes. When he realized that it wasn’t actually SLEEP, he tried to rename hypnosis, but it was too late, the name had already taken off and it stuck to this day. The Law of Attraction and the Law of Allowing are important Metaphysical Laws (Laws of the Universe) affecting relationships. The Law of Attraction can help you identify exactly who and what you are looking for in a relationship and let you be available. The Law of Allowing can help you be open and receptive to a relationship. The human mind is very powerful. You become and manifest what you focus on. If you expect good things, good things will happen. Very simply, if you decide you will not be able to find a partner, you will not find a partner.In my practice I encourage my clients to do this, plan for a great day and you WILL have a great day. Focus on having a wonderful relationship with your partner. Just allow the relationship to be. If you are looking for a partner, be open and focus on what you want to attract. HypnoNews You Can Use: "What 'Get Out' Gets Wrong And Right About Hypnotism"
You may have loved or hated the movie "Get Out” but it is getting critical acclaim. In fact, on December 5, 2017 "The Atlantic" magazine's states "Get Out will probably stand both as the definitive film of 2017 and as the one with the longest cultural shelf life, in part because of moments like the hypnosis scene." It is not a realistic portrayal of hypnosis. Hypnosis cannot make you do things you would not normally do. Check out my new video on Affirmations & Theory of Mind! This summer at HYPNOTHOUGHTS LIVE 2016 in Las Vegas, I took a wonderful class -- The Anti-Anxiety Workshop taught by Melissa Tiers. Melissa was a very entertaining speaker but more importantly, she had lots of information about how to actually re-wire the brain to interrupt our anxiety. I now teach these techniques to my clients and it is helping them. Heart Coherence - fancy words for focusing on breathing from your heart throughout your body with calmness and intent. As you focus on your heart and all the healthy blood pumping from your heart throughout your body you can really feel the energy it is radiating throughout your body which will cause you to slow down and relax. Peripheral Vision - focus on a point in the distance straight in front of your eyes then, keeping your eyes straight ahead, see how far out you can see on the right and left of your vision. By focusing on what you are seeing, you interrupt the internal dialogue that has become a negative. Do this technique 3 or 4 times and feel yourself slowing down and the tension melting away. Both of these exercises are simple and can be done anywhere, no one needs to know that you are calming and centering yourself. Using these tools can help you focus and enjoy the holiday more this year! I am honored to be featured as Member of the Month on the National Association of Women Business Owners website. If you are local woman business owner I highly recommend joining! Word of mouth is really the best way for me to promote my work! I love feedback in all forms and I am thrilled to share my first video reference - THANK YOU Bob Friedenthal!